I’m so ridiculously excited! 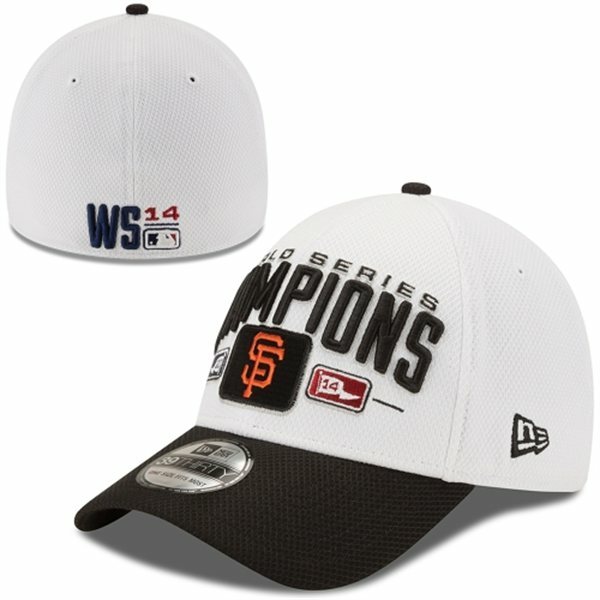 The San Francisco Giants just won the World Series in Game 7 and it was all down to the very last inning. I totally ruined a fingernail chewing on it and it hurts to type, but man oh man did Bumgartner come through in the pitching department! 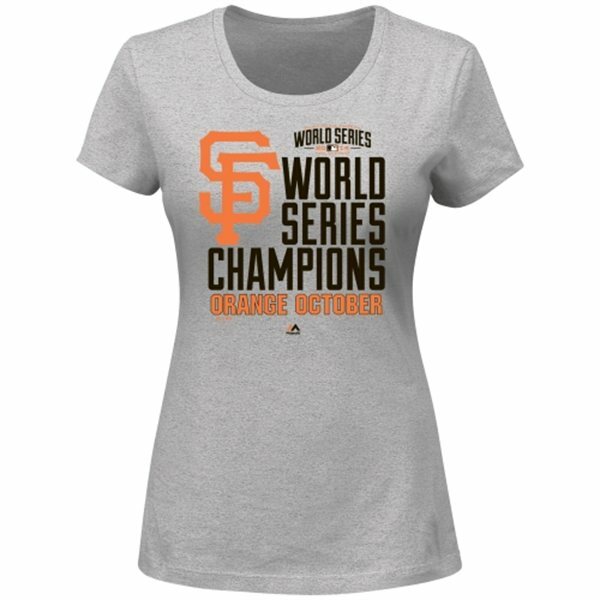 I knew that Fanatics would have gear pretty soon after the game and they did not disappoint…they already have a bunch of stuff available, including the Locker Room hat and a rather spiffy women’s cut shirt that I’m thinking about getting myself! The pictures will take you straight to the products…and if you’re kind enough to click on them and make any purchase on their site, I’ll get a smidgen back. Don’t feel obligated though! In the ongoing saga of our dryer, I have -finally- had a win. About six months ago, it started making a terrible squealing sound. So I did what most self respecting business women do…I called a repairman. The amazing elderly gentleman who was my go-to guy for everything repairs retired a few years back and we’ve had pretty good luck with appliances, so I wasn’t sure who to call. It’s like playing Russian Roulette with your modern conveniences at stake. I asked friends for recommendations, and I read online reviews. I searched for unhappy consumer complaints and finally we settled on a local company that we felt was reputable, McNally’s. Joel called them, they transferred us to a repairman. He came out, looked at it, said he would order parts and left. A week later, we hadn’t heard from him, so we tried the number he gave us. Disconnected. Frustrated, we called the company back and they said there must have been a mistake and they’d have him call. Sure enough, in about 2 hours he called us back, apologized, and told us he was still waiting on one part. 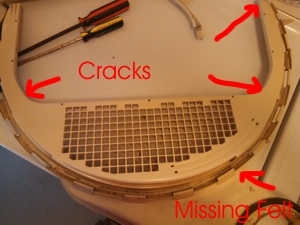 Several days later, he and an assistant finally came out, took about 45 minutes and replaced the front bulkhead and the drum support bearing on my dryer and that was that. Except we noticed that after about a week, the dryer was running kinda rough. 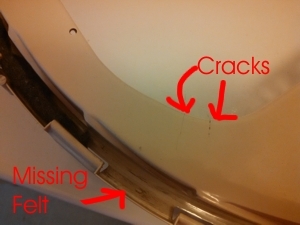 Checking the repairman’s work, I saw that the bulkhead was actually cracked in both corners and not sitting properly. Unhappy, I tried his number again but it was still disconnected. Screw it. 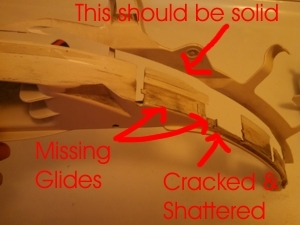 I popped the cracked piece back into place myself and hoped it would hold. So we lived with the busted piece. Occasionally, it would work itself a little loose, so we’d push it back into place. Mostly it was just annoying. Then, the dryer stopped working well. It couldn’t spin a full load of clothes, so we started running half loads. Finally, the barrel started sticking. Time for an actual fix. But I wasn’t about to trust another craptastic surly repairman. I spent a little time on YouTube and decided this was something I could do myself. 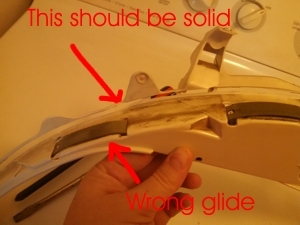 I took apart the dryer and removed the cracked bulkhead and discovered that the support bearing was not only worn through in spots, but part of it was shattered and only had two glides, rather than the four required for proper operation. I thought that perhaps they had just fallen out since the plastic was cracked, but there wasn’t any sign of them at all. 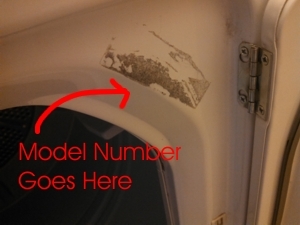 I also discovered that the sticker with my model number had been removed. Great. I spent the better part of my Saturday trying to figure out what model of GE dryer I had and never actually found the answer. I was able to get fairly close though in terms of appearance, so I was hoping that a repairman worth their salt would be able to get me the rest of the way to the proper model number. (for the record, I have a GE Super Capacity/8 Cycle/Heavy Duty/Quiet By Design dryer that was originally purchased in 2000 or 2001 from Wards) Surprisingly, there are exactly zero helpful appliance part shops in our area. We went to one location only to discover they had recently gone out of business, I knew our old repairman’s place was long gone, and the only other place was McNally’s. Gritting our teeth, we went into McNally’s only to be told that 1) the repairman they transferred us to doesn’t actually work for them, despite having the same last name as the store and they -never- mentioned that when we called the first time, 2) without a model number, they couldn’t search for parts and 3) despite having the broken parts in hand, they couldn’t guarantee that replacements of those exact parts would fit our dryer so they couldn’t help us at all, but since the parts we brought in were “expensive” and the bulkhead alone would be “well over $100”, we would be better off just buying a new dryer. Which of course they sell. So we came home extremely frustrated. Back online we went and, after an obscene number of searches on various part sites, we settled on getting our parts from RepairClinic.com. They had a great return policy (not knowing our model number, we were concerned that we would be ordering the wrong thing), had the parts we needed at a reasonable price, had decent pictures of said parts (schematics are great, but photos are SO much better), AND they had step by step videos on each of the parts. We ordered on Saturday night, the parts shipped on Monday (from Romulus, MI, which amuses me to no end), and we got them today at 1:04pm. 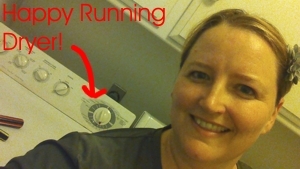 I had the dryer totally repaired and up and running by 1:30pm. Horrible repairman took twice as long. Heh. I am so damn proud of myself and the physical labor involved was much easier than I had expected. Best part is, I can actually stop using the makeshift clothesline in my backyard now and the kids can stop complaining that their clothes are stiff. I don’t think I’ve ever been more excited to do laundry. Do it yourself. It will save time, money, and headache. By the way…that part that was going to be “well over $100”? Cost me a whopping $39.95. I’m laughing all the way to the laundry aisle.